iCufflinks improved battery life code hacking… « Adafruit Industries – Makers, hackers, artists, designers and engineers! Testing is done for now. Quick synopsis (TL;DR), don’t get rid of the resistor if you want batteries to last. I tested with the full PWM values from 1-255 and then halved them to range from 1-128 (see chart 1). I quartered them as well but ended up not using it because the half ended up disappointing. 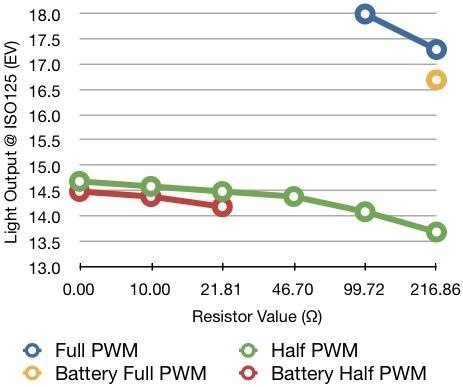 Chart 2 shows the average current versus the resistor value for the different PWM values. Lastly in Chart 3, I measured the light output of the LED. If anyone cares, using a Sekonic L-508 spot meter. 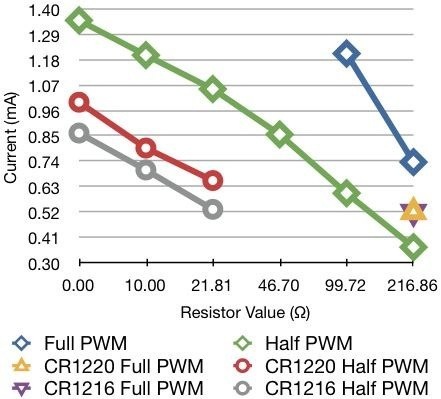 What this is showing is that no matter which resistor value (or no resistor) you pick when using a lower output PWM, it will never match the light output of the full range PWM values with the existing 220 ohm resistor. 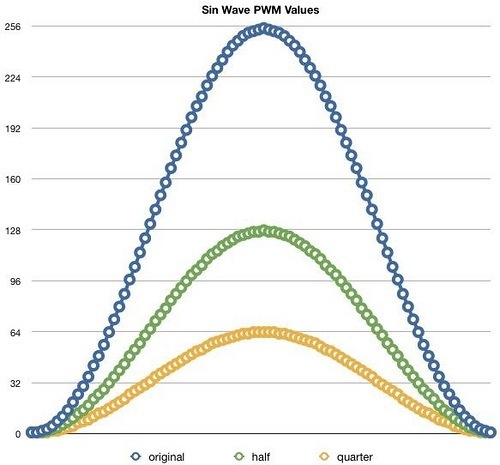 Bottom line, if you want to keep the same quality of light output, you can’t change the PWM to a lower duty cycle. Oh man this is the best post ever. LOOK AT THOSE GRAPHS! CHECK OUT THAT DATA!